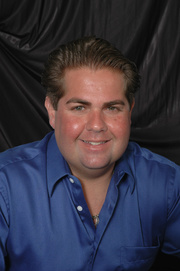 Bret Balsara has been a Florida native who has played and lived on the Treasure Coast all his life. He loves the beaches, the people and the life style south Florida Offers. He is and avid water sportsman. If it has to do with water he is there in it from fishing to surfing. He considers himself to be very fortunate to enjoy the south Florida life style and all it has to offer and be living in general. He has had to deal with more then his fair share of medical set backs in life from Kidney loss to Cancer. Bret’s experiences have made him realize you have to be pro-active in life and work hard for anything worthwhile. Bret brings the same focus and determination to his Real estate career. His background includes prior work in the Title industry and Mortgage field. In addition to that he has life long contacts in the Real Estate Field from his family who runs and has owned a Real Estate Brokerage firm for over 15 years. His dedication to excellence and perseverance and knowledge in achieving goals benefits his clients in unparallel level of service to his clients.